If you love wallpaper but are too commitment phobic to use it on all four walls, here are some options to use it as an accent in your home without depleting your pocket book. 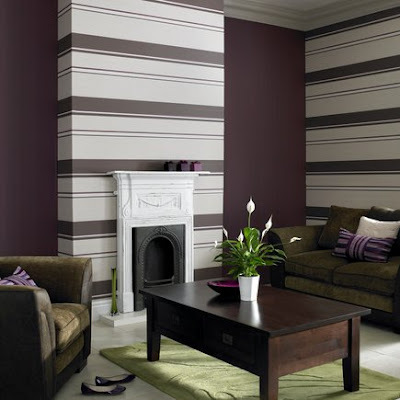 Striped wallpaper highlights the fireplace as the primary focal point. 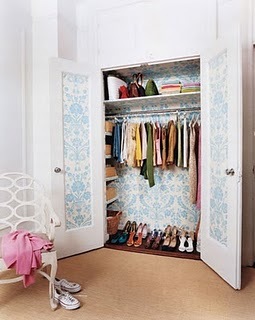 Wallpaper adds a feminine touch in a closet. Don't forget the doors. 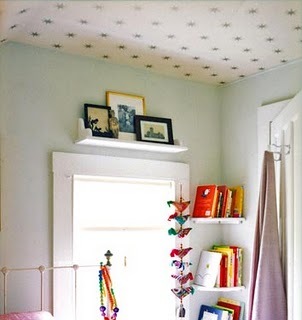 Wallpaper on the ceiling draws the eyes up, making the room appear taller. 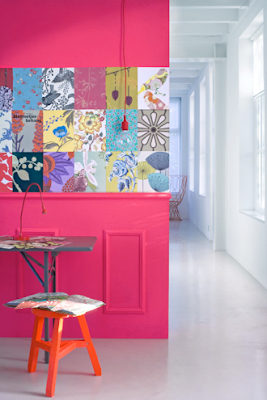 Create a patchwork pattern with wallpaper samples. Summer Thornton inset wallpaper in molding to create a modern twist in a traditional structure. Are you a renter? Cover a panel you can take with you. Learn more at House & Home. 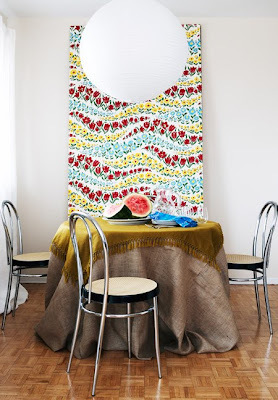 Create a simple headboard with leftover wallpaper. Details at Style at Home.